Floor Hockey is adapted from the games of ice hockey and ringette. 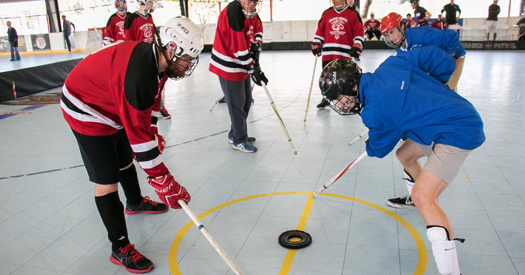 Floor Hockey is played in a rink, but the surface is made of wood or concrete, not ice. The athletes use wooden poles (without blades) as the sticks and the pucks are large felt discs with an open center.